Over the past year, the ever-popular Golden Nunchuk has been up for purchase in exchange for coins on Club Nintendo in North America. Unfortunately, the item is usually placed in a strictly-limited fashion which does not help when demand is extra intense and plenty of seekers are left empty-handed thinking it will never become available again. Thankfully, there is good news! Nintendo of America has confirmed via Twitter that the Golden Nunchuk will be ready again for purchasing next week and should come as excellent news to those still waiting to gain hold of one. More details including the cost and date of re-release for the Golden Nunchuk after the jump! For those who don’t have access to Twitter, here is the message Nintendo of America has sent to its followers. “Put the golden touch in to your Wii gaming sessions with this gold-colored* Nunchuk accessory. If you’ve got a gold Wii Remote Plus controller from the limited edition bundle of The Legend of Zelda: Skyward Sword at home, be sure not to miss this special reward. Limited quantity available. * The gold controller will simply be gold in color and will not contain any actual precious metals. As the description states, this is the perfect opportunity to gain a matching controller piece for those who have already acquired the brilliant Skyward Sword Gold Wii Remote. Remember, if you want one, be ready on Monday, November 26th, be sure you have 900 spare coins available, and quickly purchase it via Club Nintendo. This is something you do not want to miss out on again! 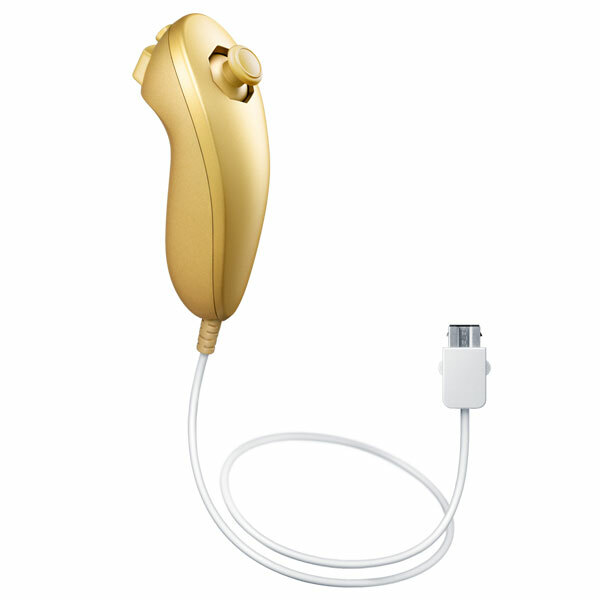 Will you be purchasing this spectacular Golden Nunchuk? If you already have one, would you recommend sparing 900 coins to purchase it? Let us know what you think in the comments below!